Wednesday was a tale of two season finales for Fox: At 8 p.m., “The X-Files” couldn’t even compete with the hour’s other original episodes. 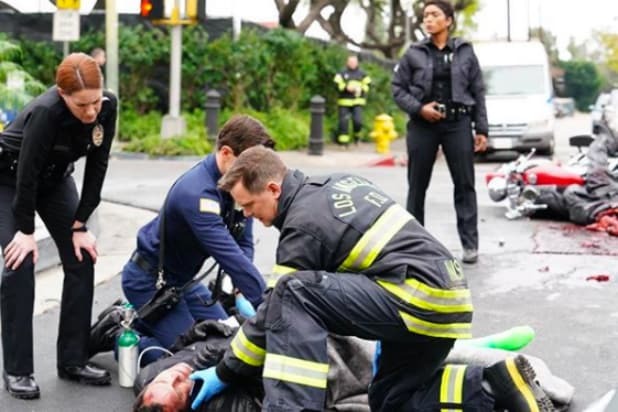 Sixty minutes later, Ryan Murphy’s hit drama “9-1-1” nearly doubled its lead-in, topping the 9 o’clock time slot outright. CBS, NBC and ABC all tied for second in ratings last night in primetime’s key 18-49 demographic. Fox was first in ratings with a 1.3 rating/5 share in the advertiser-coveted 18-49 demographic, but third in total viewers with an average of 5 million, according to preliminary numbers. Up first, “The X-Files” had a 0.8/4 and 3.4 million viewers. At 9, “9-1-1” finished its freshman run to a 1.7/6 and 6.6 million viewers. CBS, NBC and ABC all tied for second in ratings, each with a 1.2/5. CBS was first in total viewers with 6.7 million, NBC was second with 6 million and ABC was fourth with 4.8 million viewers. For CBS, “Survivor” at 8 posted a 1.7/7 and 8.5 million viewers. At 9, “SEAL Team” had a 1.0/4 and 6.5 million viewers. “Criminal Minds” at 10 received a 0.9/4 and 5.2 million viewers. For NBC, following a rerun, “Law & Order: SVU” at 9 got a 1.4/5 and 6.3 million viewers. At 10, “Chicago P.D.” received a 1.3/5 and 7 million viewers. For ABC, “The Goldbergs” at 8 had a 1.5/7 and 5.8 million viewers. 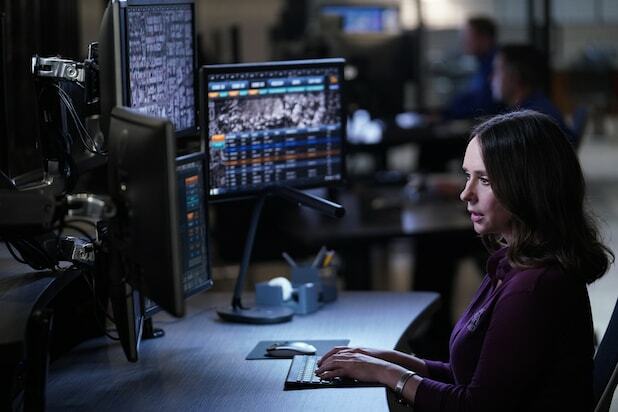 At 8:30, the “Speechless” season finale put up a 1.3/5 and 4.6 million viewers. “Modern Family” at 9 landed a 1.6/6 and 5.6 million viewers. At 9:30, “American Housewife” got a 1.3/5 and 4.5 million viewers. “Designated Survivor” at 10 received a 0.7/3 and 4 million viewers. Univision and Telemundo tied for fifth in ratings, both with a 0.5/2. Univision was fifth in total viewers with 1.5 million, Telemundo was sixth in 1.2 million. The CW was seventh in ratings with a 0.3/1 and in viewers with 838,000. “Riverdale” at 8 had a 0.4/2 and 1.1 million viewers. At 9, “Life Sentence” settled for a 0.2/1 and 544,000 viewers.